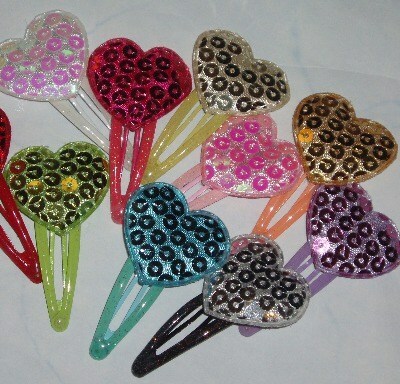 Sparkling Sequin Hearts Hair Clips. 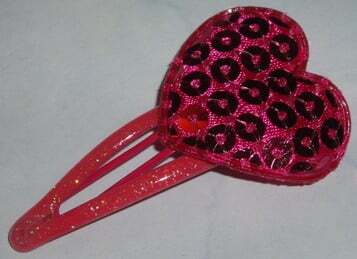 A 30mm padded puffy sparkling sequined heart on a matching coloured 50mm spring clip. Chose your colour from White, Cream, Gold, Red, Pale Pink, Hot Pink, Purple, Lime, Blue or Silver and write it inthe box.